When deciding on a landscape design in North Carolina, many ideas should be carefully considered. There are the obvious factors such as local climate, weather patterns, and seasonal rainfall, which can all affect the types of plants and trees that should be planted. You also have to consider what works best for your style and budget. Trust the experienced design professionals at Hicks Landscape to carefully decide which precise layouts and customization options are best for your individual home or business. All beautiful landscapes possess a certain level of cohesiveness. Simply put, a huge variety of plants, hardscapes, and landscape features can make a lawn look more like a theme park, with very little conformity and control. With unity, usually comes simplicity, which is our next point. As stated above, landscapes which “have too much going on” are too busy and cluttered, and often lack the openness associated with a large beautiful landscape. Landscape balance implies a sense of equality throughout. Although we design landscapes to be intentionally symmetrical and asymmetrical, a simple, consistent design will always prove the best results. As any artist or interior designer knows, certain colors complement one another. Similarly, certain colors do not complement one another. Bright colors, (reds, yellows, etc) also bring the objects to life, making them appear closer, while darker colors usually appear smaller, or farther away. There are countless color stylizations used in landscaping, as well as artistry. Hicks Landscape designers keep these many stylizations in mind when creating your home’s landscape. This refers to the relative flow of the design. Abrupt endings only complement a landscape if used correctly. Smooth, flowing designs must be created and ended with clear definitions. Transitions may also be used to create illusions between certain aspects of a landscape, such as making certain objects appear distant or closer, larger or smaller. Perhaps the easiest concept to grasp, line relates to the flow of walkways and paths, or straight edges of flowerbeds, gardens, hardscapes, or other flat surfaces. Referring to the relative size of juxtaposed elements alongside one another, proportion can draw attention to certain details within a landscape. It can also be used to help create a sense of importance for smaller, often less noticeable details around a home or patio. Unity is one idea, repetition is another. Many people think that the same plant systematically laid out across an entire yard may be unified. While it technically is, this would also lead to overwhelming repetition. Hicks Landscape Designers often rely on a sense of “repetitive diversity”, to create custom, unique landscapes, unlike any of your neighbors! Contact a Hicks Landscape Designer today! Hicks Landscape design consultants are experienced in creating amazingly beautiful, professionally maintained landscape designs in the Raleigh area. Our Landscape Design Consultants are creative and innovative, and we use our 20+ years of experience to create a design that you’ll love for years to come. 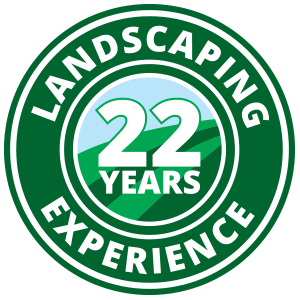 Contact us today to learn how Hicks Landscape can help transform your lawn. Visit our Photo Gallery and read our Customer Testimonials to see some of our beautiful landscape designs in Raleigh!